The Supreme Court today steps into the national debate about the restrictions state lawmakers can put on abortion clinics, but the two most likely rulings won’t settle the issue nationwide. 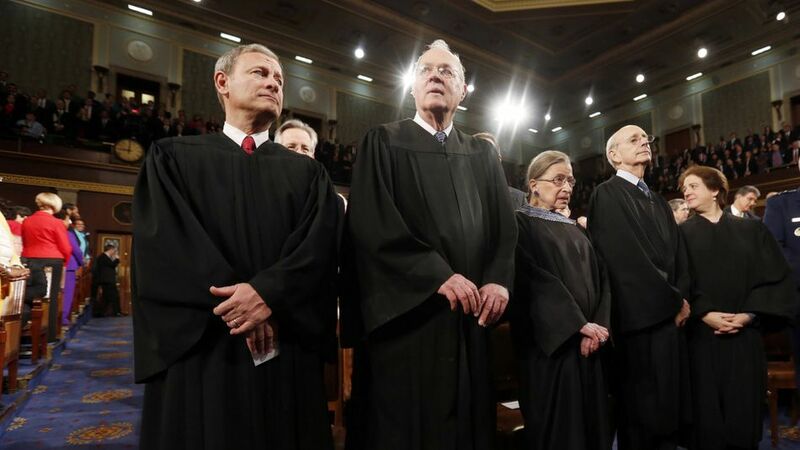 The justices will hear oral arguments in a challenge to a Texas law that regulates the operation of abortion clinics because of what state officials say is a concern for women’s health. The Texas law is similar to those in more than a dozen other states. House Democrats appointed to serve on select committee to investigate Planned Parenthood called Tuesday for an end to the panel, arguing that Republican rhetoric incited anger toward the group that led to the Nov. 27 shooting at a Planned Parenthood clinic in Colorado. Republicans formed the select committee, which falls under the jurisdiction of Energy and Commerce, to investigate whether Planned Parenthood illegally sold fetal tissue. Democrats argue the investigation is unnecessary and a waste of taxpayer dollars because three standing congressional committees have found no evidence of wrongdoing and that undercover videos that sparked the investigations were manipulated. The six Democrats on the select committee — Jan Schakowsky of Illinois, Diana DeGette of Colorado, Suzan K. DelBene of Washington, Jerrold Nadler of New York, Jackie Speier of California, and Bonnie Watson Coleman of New Jersey — sent a letter to Speaker Paul D. Ryan asking him to disband the panel in the wake of the shooting that killed three people and injured nine others in Colorado Springs. It&apos;s all systems go for the Senate GOP&apos;s effort to defund Planned Parenthood and upend the Affordable Care Act. Republican senators emerged from a conference meeting Monday evening generally enthused by the effort to gut as much of the health care law as is feasible under the chamber&apos;s budget reconciliation rules. In the wake of last week&apos;s shooting at a Planned Parenthood facility in Colorado, one GOP leader faced questions about whether congressional Republicans will continue their push to defund the organization. House Majority Leader Kevin McCarthy, R-Calif., did not rule in or out a move to strip the group&apos;s funding in the must-pass government spending package. He told reporters during a pen-and-pad briefing Monday there will likely be debate on the subject. There&apos;s no reason to expect last week&apos;s shooting at a Colorado Planned Parenthood facility will alter the Senate&apos;s effort to block funding to the organization this week. Republican leadership had long planned to include language blocking federal Medicaid and family planning dollars from flowing to health care organizations that provide abortions as part of a budget reconciliation package that also curtails the 2010 health care overhaul. Senior Republican aides said there is no plan to change course.